I understand that this is representative of the groups of people in the world. A small remnant are listening to Father’s warnings of judgment and are repenting and seeking Him with all their hearts. Most have not taken the warnings from His messengers seriously. Some mock and scoff, believing it will never happen to them in this lifetime. Again, I beseech you to listen carefully and heed all that Father is saying in these last days, preparing your hearts for His return. Of course, we are always to live our lives in anticipation of His imminent return, and no one knows the day or the hour, but His instructions are to always be prepared. I am not clear as to ‘when’ this will occur, but I have no doubt whatsoever it will. This is one of many times I have seen this judgment in a warning. I had not planned on making this public, but Father has insisted I do. In His incredible mercy and love, He always reveals to His servants what He is about to do. I must obey Him and warn the people as His messenger or the blood is on my hands. What you do with the warnings is in your hands. Thanks for your reply, Greg. We left for many of the same reasons you gave, and I have no doubt that God told us to leave. It breaks my heart what is coming. It is a beautiful area full of people I love, and we have years of special memories associated with much of Puget Sound. I’ve found that I have so much more peace being away from there. Just last week, for example, there were 3 murders within 24 hours, and the last one was just down the road from our old house…a young man shot several times when he went out for a run with his dog. An American expat friend of ours here married a young woman from Ecuador, and they have shared some of the good things about Ecuador. The weather sounds so much more appealing than here in Chile where we have the changing seasons. We’re gearing up for a rainy winter much like we left behind in Seattle…only without our central heat. 🙂 If we were ever to move Ecuador, I would be inclined to go to the very area that you chose. We feel the same way as you about living on the coast. Our friends have told us many times about the good, inexpensive food they were able to get in Ecuador, and we know housing is cheaper. Many blessings to you and your wife. 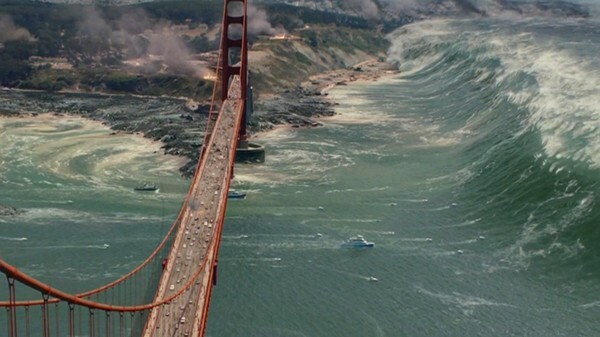 Your post above on the tsunami-west coast thread was a couple months ago, so I’m not sure if you’ll revisit and see my question. I wrote to Greg who posted about his life in Cuenca, Ecuador, but haven’t heard back. I’ve considered living in Chile and Ecuador and would be interested to hear more about your comparison of life of in Santiago versus Cuenca. Growing up, my Dad would refer to Seattle (and Washington State) as God’s country. This was back in the late 70’s/early 80’s. I’d heard that over the past years the area was in decline. The last time I was there was ~2006, so the Lord impressing on me (just this past week) not go back to visit indicates a drastic shift is close and things really are about to change. -What time frame were you going to be visiting Seattle? I have family that will be visiting the Northwest in June, and I am concerned. Great to hear from you after all this time Aris! Greg, I had such a vivid picture of Bellevue when I was reading your post. Water to the 15th floor in Bellevue would be pretty high. Parts of I-5 & at least I-405 would be impassable. My husband worked in Bellevue for a number of years, and we used to enjoy going to the park & mall there for family outings. Do you mind sharing where you ended up? How long ago did you leave? We believe the same as you that there is no perfectly safe place. We knew when God called us to leave the US, and we left very quickly. We are ready to move in a moment if He gives us a different direction. Thanks for sharing this awesome dream and thanks for the feedback Greg! I agree some nations will be judged harsher. Most prophecy regarding Australia is good stuff. That we still have God’s blessing. Perhaps because we haven’t legalized gay marriage yet and are taking in less Muslim refugees. Regardless, God is still merciful to this country for the present. I don’t wish to raise conjecture on the authenticity of one’s dreams; this, or anyone’s. But, there is a point to be made that I don’t see considered either in posting or in comments. I’ve alluded to it previously, but saw no real response. John saw a beast rising up out of the sea. Are we now sounding the Mediterranean, looking for a “Loch Ness Monster”? No? Why not? Because we know that his vision was allegorical. Taking this further, did any cows actually eat any cows? Did anyone actually wear a basket of bread on their head? Did sheaves actually bow? We all know the answers. So, then, why, oh why, whenever one has a dream or vision of flooding, does everyone assume it is a literal flood of water? Flooding, drowning, and destruction could just as easily represent a flooding of deception and lies, and the destruction of one’s mind and heart as they succumb to them. Why, when there is a dream of death and destruction, does everyone think only of the flesh, and not of the spiritual condition? We all know, or know of, someone whose flesh is happy, healthy, and sound, but whose spirit seems to be dead or dying. I believe it behooves us to consider first any and all possible spiritual aspects of any dreams or visions before temporal. I agree that not all dreams and visions may be the actual literal event that is to take place. Could the Lord give the literal vision of what is going to happen? I believe He could. And with all the warnings of earthquakes and fault line activity I do not think it is out of the realm of possibilities for it to be literal. It is so important to ask the Lord for discernment in these times. Just my two cents. Thanks for posting that Dean. Dean – I don’t post dreams or visions as up until two days ago I have never had one regarding a tsunami. The Lord has not told me to release it as of yet and was not about Cali. But here is what I get from all this…yes you are right, it could very well be spiritual and not literal for the Lord has said that he would never flood the land again, correct? However, I’m thinking that it may be God warning all of us what TPTB are planning. There has been much talk of a false flag that will happen that is so huge it will be an excuse for them to declare martial law. Such an event would do nicely for them plus help them with depopulation to further their agenda. They are fully capable of setting off earthquakes (as what was speculated with Fukushima and other places) and it has even been talked about a fake asteroid (nuke deliberately set off) to trigger such effect. So I’m leaning more towards that yes, a tsunami might hit, but it would not be an effect of what God has done (even though he allows it to happen) but TPTB and He is warning His children to get out of the way (IF He has given you indication to move etc). Just a theory, dunno, but thought I would throw it out there. God Bless you and yours. I completely agree. I think most people assume literal because scientist have been warning of a major event for some time now. So our worldly body and mind automatically jump to something literal rather than spiritual. I suppose if I had a dream of such disaster I would take it to pray and ask for discernment in what it meant. Literal or spiritual and I would encourage anyone reading to do the same with the information in this dream or any dream for that matter as well. People can always be wrong but God never is. Not sure if this news article was posted anywhere else on Z3….many earthquakes taking place at 3 volcanos in the Pacific NW. And this just now, completely unexpected in the middle of Australia. Thought you (and everyone else) should know about my dream I had last night 5/19/2016. OK, for some reason I was standing close to a beach on the coast of Los Angeles. I had visited there in 2010 and am so glad God allowed me to see it then. So anyway, I knew what the landscape looked like. In the distance, I saw a giant tsumani coming our way! We all started running, and almost instantly, it’s like I was on top of one of the highest summits in LA with a small group of people. We saw a series of 5 giant waves one after the other, crash onto the coast. We heard people screaming and saw all kinds of carnage and were just stunned. In any event, the water rose ALL THE WAY to where we were on this very high summit. We weren’t too alarmed because we just allowed it to absorb us and started treading and swimming in it. We were able to swim past a very tall condo building that was still somewhat rising above the water. So we entered the condo and were able to relax because the water didn’t rise anymore. We were somehow able to watch TV and the news and see what all happened. End of dream. And if you go to raptureready.com and look at the news, there was a 4.8 earthquake off the coast of Oregon close to the Cascadia Subduction Zone. Wow, God is warning all of us quickly. This will be quite a year I’m afraid. Please seek Lord for the safe place to move, i.e. the south island of New Zealand and the upper north of Scotland.